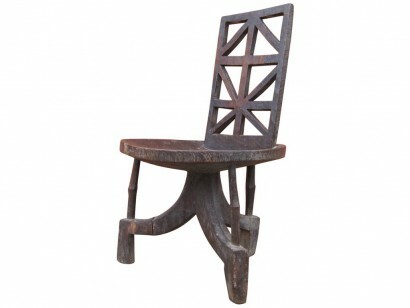 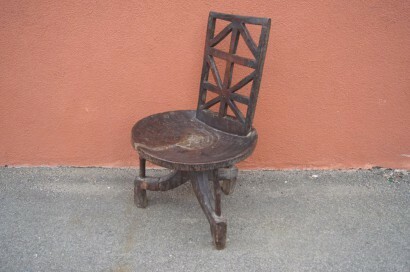 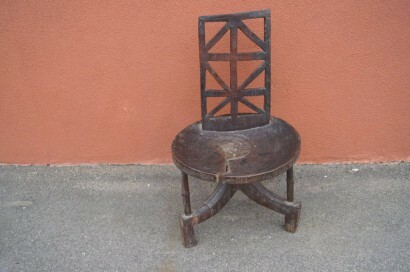 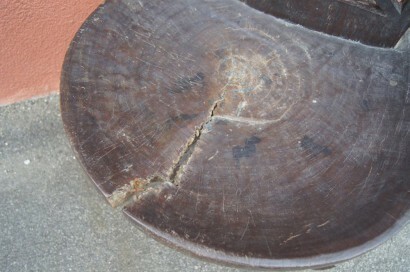 This carved wooden chair most likely comes from the Jimma people of Southern Ethiopia. 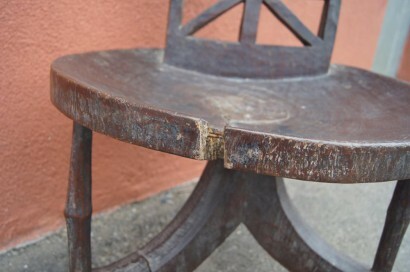 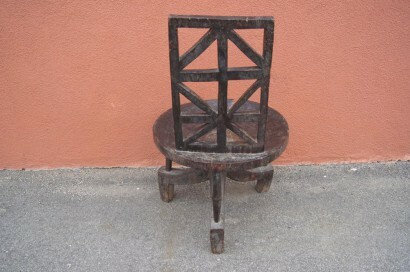 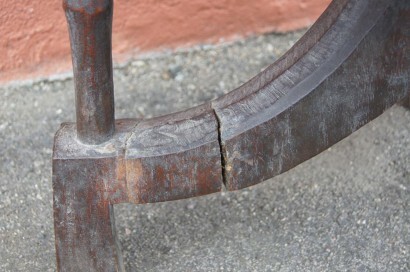 A capacious slightly concave seat sits on tripod base connected by slender rods. 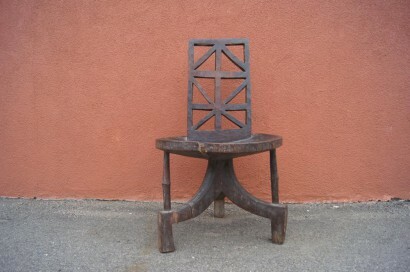 The high rectangular seatback has a geometric openwork design.